SAN DIEGO, CA -- A 2-year-old girl was drowned in Whittier, California before her body was found in a duffel bag as a man and woman tried to cross into Mexico at the border, a San Diego prosecutor said Friday. 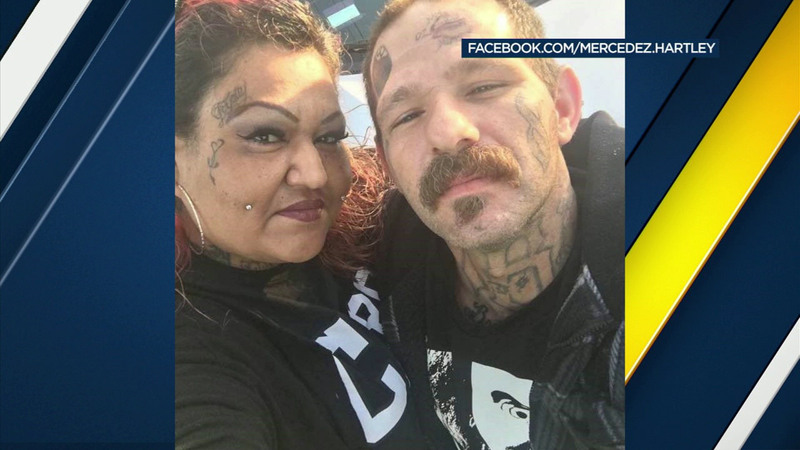 John Lewis Hartley, 38, and Mercy Mary Becerra, 43, were being held on $2 million bail after pleading not guilty to a murder charge. During the arraignment hearing, a prosecutor revealed that the child's cause of death was residential drowning and malnutrition. The suspects knew the child and the child's parents, the prosecutor said, but would not say whether the couple was taking care of the child or were caretakers. It remains unclear when the death occurred, although investigators said it happened recently. A preliminary investigation revealed Hartley tried to enter Mexico with Becerra when they were stopped by Mexican customs agents. Becerra fled the scene, and Hartley was detained with the duffel bag. Authorities did an X-ray of the bag and found the child's body inside. Not long after the discovery, authorities took Becerra into custody and turned her over to U.S. authorities.